From filmmaker Steven Spielberg comes the epic science fiction action adventure READY PLAYER ONE. 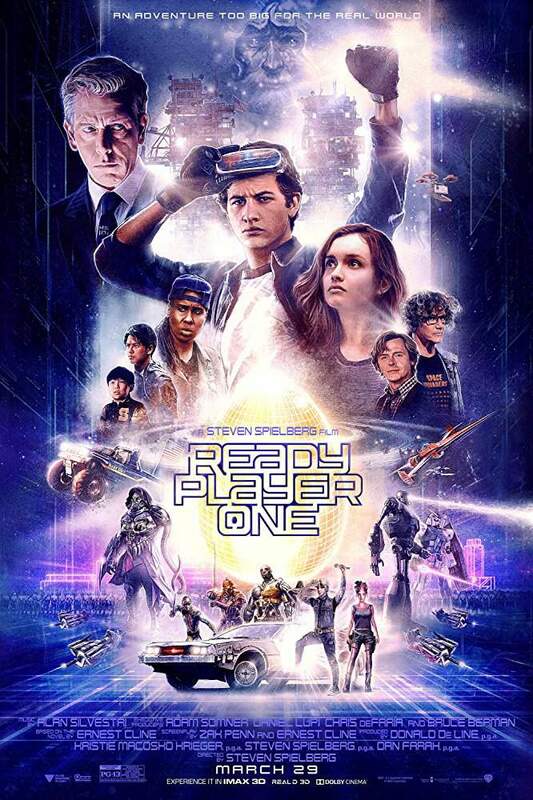 Adapted from Ernest Cline's generation-defining novel, READY PLAYER ONE (Cert 12A) is released in cinemas on March 29th. To celebrate Warner Bros. Pictures & Movie House Cityside have teamed up with Q Radio to give you the chance to see the film at the Special Preview Screening on Thursday 22nd March 2018. You and a friend can see the new action-filled film 'Ready Player One' – before anyone else! The film starring Olivia Cooke, Hannah John-Kamen, T.J. Miller, Ben Mendelsohn is not released until March 29th and we are exclusively giving Q Radio listeners the chance to see it first. Register below to be in with the chance of winning. The film centers on a young outcast named Wade Watts. In the near future, Watts escapes from his daily drugery by logging onto an MMO game called 'The Oasis'. When the game's billionaire founder dies, he offers players his fortune as the prize in an easter egg hunt within The Oasis. Watts gets in on the action then after five years finds himself facing off against corporate foes who will go to any lengths to get the money -- in both the real world and in The Oasis. (c)2018 Warner Bros. Ent. All Rights Reserved . Winners will be announced on Wednesday 21st March 2018 and will be contacted by telephone or email. The Prize must be redeemed on Thursday 22nd March 2018 at Movie House Cityside Belfast. The Prize is valid for two people. Winners must live in Northern Ireland.